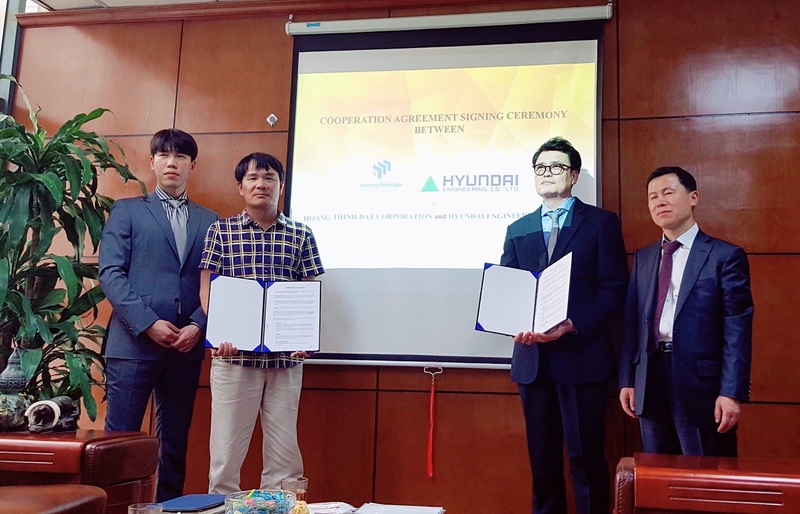 HOANG THINH DAT CORPORATION SIGNED A COOPERATION AGREEMENT WITH HYUNDAI ENGINEERING CO., LTD.
Home » Uncategorized » HOANG THINH DAT CORPORATION SIGNED A COOPERATION AGREEMENT WITH HYUNDAI ENGINEERING CO., LTD. 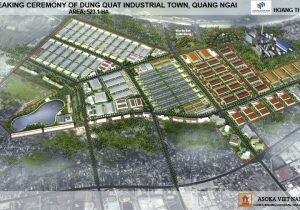 In order to cooperate together in promoting the development of “Dung Quat Industrial Town in Quang Ngai Province” and implementing the ” Combined Heat & Power Plant Project in the Industrial Town “, on May 31, Hoang Thinh Dat Corporation and Hyundai Engineering Co., Ltd. had a meeting and formally signed a cooperation agreement. The signing ceremony was held at the office of Hoang Thinh Dat Corporation, 9th floor, VEAM Tay Ho Building, Lot D, Phu Thuong Ward, Tay Ho District, Hanoi, Vietnam. Attending the signing ceremony, Hoang Thinh Dat Joint Stock Company has Mr. Hoang Van Duong, Chairman & General Director; while Hyundai Engineering Co., Ltd. has Mr. Wook Choi, Director / Head of Marketing Office and representatives of the two companies. 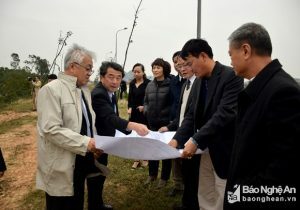 With the spirit of “cooperating and working together in good faith, using their best efforts to develop”, based on advantages of strength and the credibility of bilateral relations, after a detailed negotiation, Hoang Thinh Dat Corporation and Hyundai Engineering Co., Ltd. agreed on terms of the agreement to become partners of each other. Both sides believe that the cooperation will promote and enhance the relationship between the two sides; simultaneously will create momentum for further cooperation in the coming time. 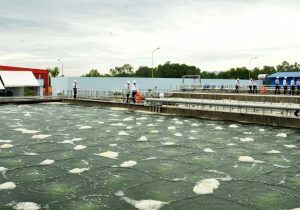 Under this cooperation agreement, the two sides will actively take advantage of each side. 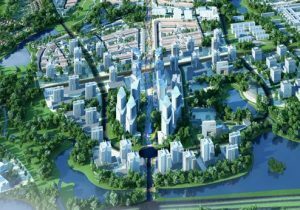 Hoang Thinh Dat is mainly in charge of developing and promoting the industrial town; attract investors in industrial town; and support Hyundai to obtain licenses, investment certificate and related procedures. 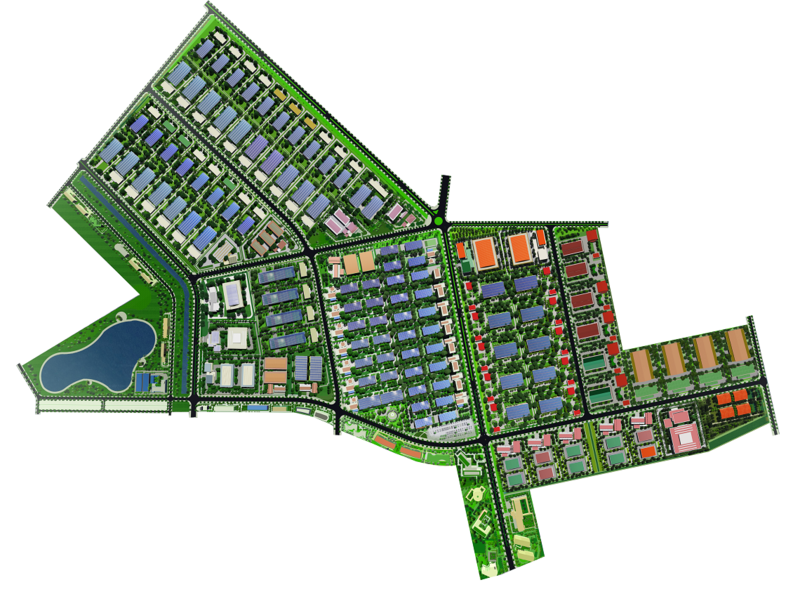 Meanwhile, Hyundai Engineering Co., Ltd. is mainly in charge of and develop the project; and support Hoang Thinh Dat in promoting the development of the industrial town. 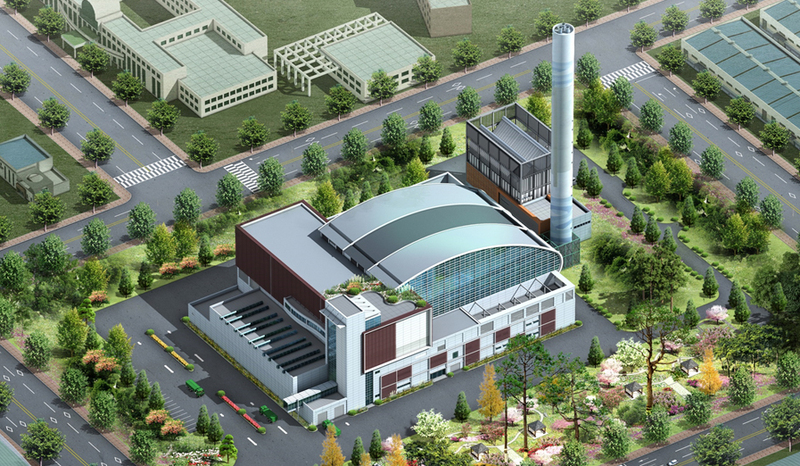 Hyundai Engineering Co., Ltd. was founded in 1974, at 75, Yulgok-ro, Jongno-gu, Seoul, Korea. 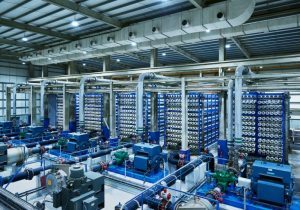 Hyundai Engineering provides engineering services to process plants, power and energy plants, building and housing works, and infrastructure and environmental sectors in South Korea and internationally. 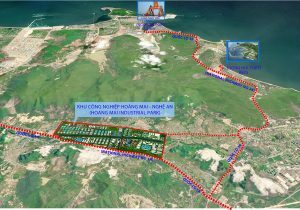 The cooperation signing between Hoang Thinh Dat Corporation and Hyundai Engineering Co., Ltd. is a suitable step with the long-term development orientation of both sides, opening up many opportunities for cooperation in the field of infrastructure construction in Vietnam. 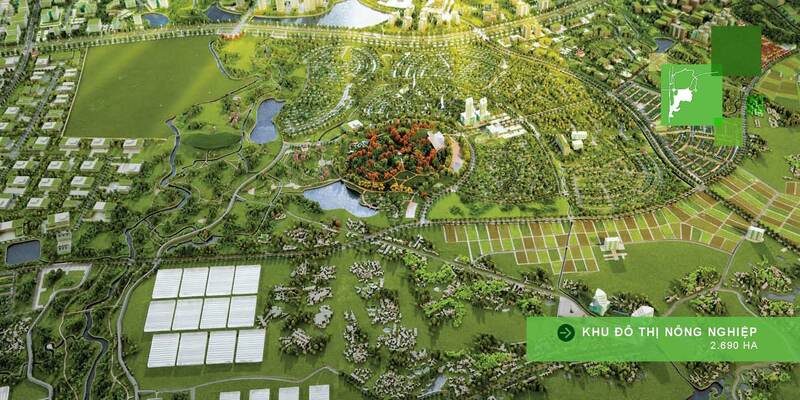 Copyright © Hoang Thinh Dat Corporation. All rights reserved.